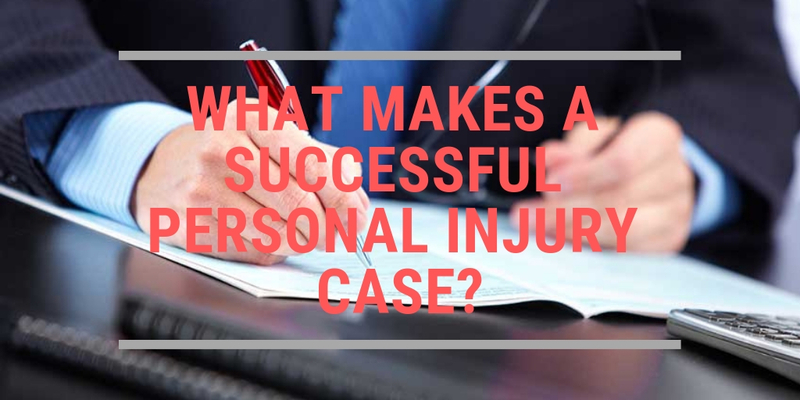 What Makes a Successful Personal Injury Case? If you’ve been harmed in an accident, you may be dealing with pain, confusion, frustration, and fear. The period after a serious accident or injury can be an extremely difficult time. Among other things, you may find yourself wondering if a personal injury lawsuit can help you handle injury-related expenses and problems. Whether or not you have a strong personal injury claim depends on a few factors. The only way to find out for sure is to consult with a qualified personal injury attorney who is familiar with your case. This article is not legal advice, but we will lay out the basics of personal injury law to help you understand what’s possible in your situation. What are the elements of a personal injury case? It takes more than just an injury to build a personal injury lawsuit. In Canada and other western countries, the key to a personal injury claim is negligence, according to experts at the Toronto law firm Preszler Law. If you are injured because of someone else’s negligence, then you should not bear the burden of damages related to that injury — the negligent party should. The purpose behind personal injury law is to help those in need and make sure those who caused harm with negligent actions are held responsible. In the United States, historians say the industrial revolution and the rise of robber barons helped shape personal injury law. With lawsuits as an option for normal Americans, those with less power and money could still stand up for themselves when dealing with unfair damages. What does a successful personal injury case look like? The popular perception that personal injury cases are built primarily on injuries is incomplete. As explained, there are other elements to a personal injury case, and if a case is going to win a big settlement or court award, it needs to demonstrate that it has those elements while connecting them into a cohesive narrative. A personal injury lawsuit is a civil case, not a criminal one. A properly argued personal injury case will show clearly that the plaintiff has suffered damages. It will demonstrate that the defendant was negligent. And then it will connect the pieces of the puzzle together, proving that the negligence in question caused the accident, and that the accident in question caused the injuries, showing a clear line of connection from the initial negligence to the eventual injuries. To succeed in a court of law, your case will need to have all these elements. But even a good case can fail if you don’t have the right experts in your corner. The final key to a successful personal injury lawsuit is to work with an attorney who specializes in personal injury cases and is committed to understanding the specifics of your particular situation. If you think there’s any chance that you have the makings of a successful personal injury lawsuit, then you should reach out to a qualified attorney right away. Only an attorney familiar with your case can tell you if your instinct is correct. Set up a consultation and bring any relevant documentation — including police reports, medical bills, and other paperwork — to the meeting. Don’t hesitate to set up that consultation. Personal injury lawsuits are not uncommon, but experts say that too few of us take action when we have a potential case. Don’t let an accident that wasn’t your fault hurt you personally and financially.